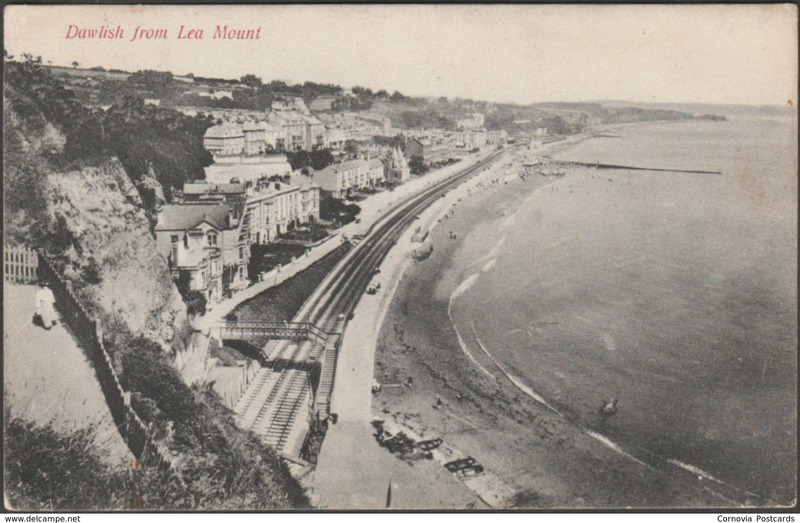 Printed monochrome postcard showing a panoramic view of Dawlish in Devon, seen from Lea Mount. Published by Chapman & Son, Dawlish, not numbered, printed in Berlin. 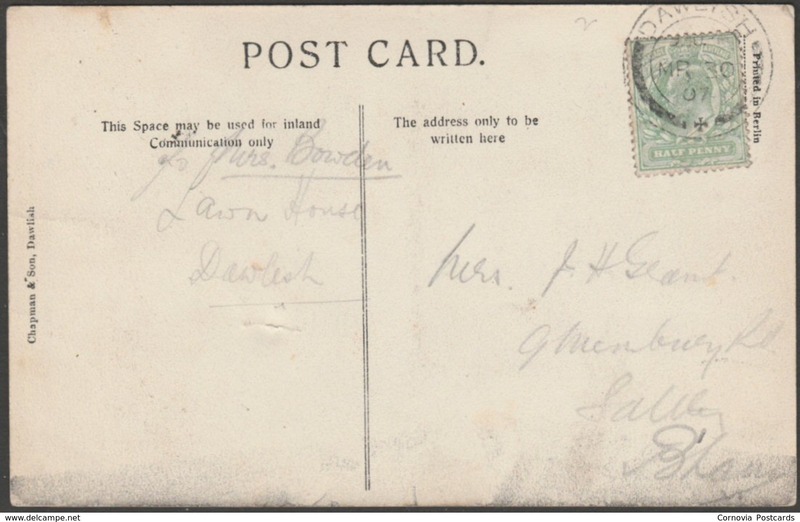 Postally used on 30 March 1907 with double circle Dawlish cancellation on green halfpenny stamp and sent to Mrs J H Grant of Saltley, Birmingham. Good condition, with slight corner bumps and some rubbing to the bottom edge of the back.